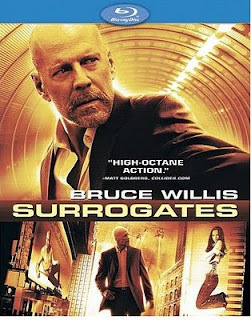 We watched Bruce Willis in the Surrogates movie one night last week. Surrogates is a movie based on a comic book series by Robert Venditti and Brett Weldele. Perhaps not my favorite Bruce Willis movie ever, it was however enjoyable. We could all use a surrogate sometimes, couldn't we? Definitely a psychological thriller, the ultimate battle in this movie is that of technology versus humanity. Imagine a world where everyone, in an effort to avoid all of the dangers in the real world, stays inside and goes about their errands using a surrogate who is designed to be in whatever shape, size and appearance you desire. At first thought the idea of having a surrogate sounds interesting, until you stop and think about who is controlling who, who you can trust and what sensations and experiences you would be missing out on. In terms of the blu-ray, High-Def Digest says, "The video is pretty good for a film that isn't all that striking visually, it's got a really great audio track, and a few extras that aren't all that interesting." I am inclined to agree with their recommendation that you buy this one on DVD if you are a Bruce Willis fan or you rent it if you want to see an entertaining movie. 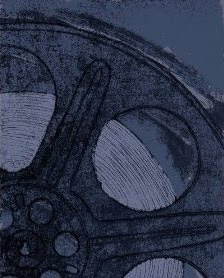 Buy your copy of Surrogates from Amazon. Check out the Surrogates comic books at Amazon.